You have a lot of choices when it comes to oils that you can cook with. You do, however, need to look at more than just how healthy the oil is currently and also consider what effect cooking will have on it. This is especially true if you are cooking over high temperatures - you want an oil that is not going to oxidize. Oxidation is the process by which molecules in the oils react with the oxygen in the air and free radicals are formed. Trans fats can also be formed when certain oils are subjected to high heats. The best way to tell whether or not your oil can stand the heat is to figure out how saturated its fatty acid component is. In saturated fats, there is only a single bond between the molecules. In monounsaturated fats, there is only a single double bond. In polyunsaturated fats, there are at least a pair of bonds. The double bonds are the ones that are the most volatile when it comes to high heat. Saturated fats fair the best. Monounsaturated ones are also a good bet. 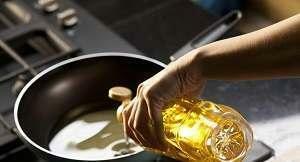 Polyunsaturated fats are not fit for use in cooking. 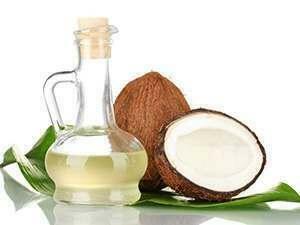 If you will be cooking over high temperatures, you cannot go wrong with coconut oil. More than 90% of all its fatty acids can be classified as saturated and this makes it very stable. It is only liquid when heated and is so stable that it can last years in perfect condition. It is also very healthy - it has a lot of Lauric Acid in it - a fatty acid that has been proven to increase the good cholesterol in the blood and that is particularly good at destroying pathogens. The fats within the oil can rev up metabolism a bit but the satiety factor is probably what makes it most useful to the dieter. No other cooking oil is included on my superfoods list. You do need to stick to the virgin oil though - it is best and tastes best. Worried about the saturated fats? New research has disproved the old myth that saturated fats are bad for you. Again, common wisdom said that butter was bad. Common wisdom was wrong and, in this case, downright dangerous. Margarine is what is really bad for you. Proper butter from grass-fed cattle is very healthy and has a lot of nutrients. Aside from the vitamin content, it is also a good source of Butyrate and CLA - essential for good health. CLA is thought o actually help lower your percentage of body fat. Butyrate has been proven to help reduce inflammation, support a healthy gut. Rodent studies have shown that it helps them become resistant to gaining weight. 68 % Saturated.28 % Monounsaturated4% Polyunsaturated. You do, however, need to be careful when cooking with real butter - because of the little bits of proteins and sugars, it does tend to burn quickly. Ghee or clarified butter is the way around this one and it is not too difficult to make. Click here to see how. 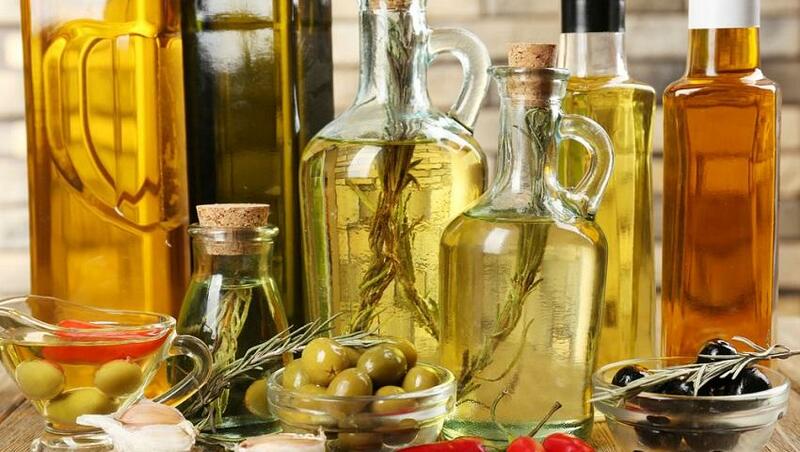 A lot has been said about how healthy olive oil is. Researchers believe it is the number one reason that the Mediterranean diet is as good as it is. Some research into its effects on biomarkers and health back this theory up. It has a positive impact on HDL levels and can help to mop up LDL that has oxidized. The unique thing about this oil is that even though it has fatty acids that have double bonds, it still stands up to heat pretty well and can be used in cooking. Extra Virgin is best in terms of antioxidants, nutrients and taste. It is best stored away from light and heat so that it doesn't go off. The nutritional value of these depends on what the animals it comes from tend to eat. Those that eat mostly grains will have a lot of polyunsaturated fats. Those that are raised eating grass, however, will have more monounsaturated or saturated fats. It stands to reason that the latter is a good idea for high heat cooking. You can normally source tallow or lard at your store. Alternatively, save up the meat drippings for later use. Bacon is especially good and tasty. 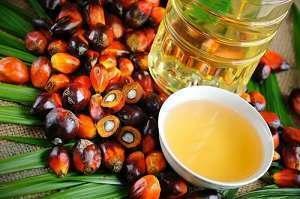 Palm oil is actually a fruit oil. 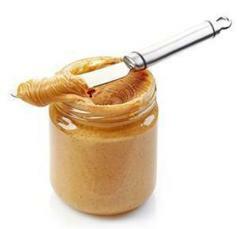 It is mostly monounsaturated and saturated fats but there is also a little bit of polyunsaturated fats as well. It is also a great choice when it comes to cooking. Look out for the Red, or unrefined, Palm Oil. It has levels of Coenzyme Q10 and Vitamin E along with various nutrients. One concern is that this is not a sustainable crop because the commercial growth of these trees is negatively impacting the habitat of the endangered Orangutans. 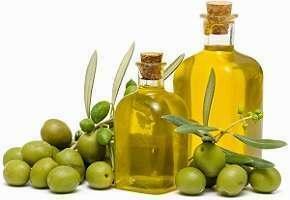 This is a lot like olive oil and consists mainly of monounsaturated fats with a few of the others thrown in as well. Use it as you would olive oil. If you want to up your intake of Omega-3s, fish oil is a good bet. Just one tablespoon is all you need to get your recommended daily allowance. For people who are not fish eaters, there are also natural supplements available. Cod liver oil is best and also helps you get your recommended daily allowance of Vitamin D3. It is largely polyunsaturated and so is not suitable to use in cooking. Supplement with it by all means but nothing else. 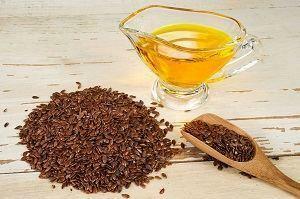 This is one oil that is a great source of ALA - the plant source of Omega-3s. As a result, a lot of people use this as a supplement to get the Omega-3s they need. Fish oil is a far better source though as the ALA is not readily converted into a useable form by our bodies. Again, there is a high quantity of polyunsaturated fats and this makes it unsuitable for cooking with. This is made from rapeseeds. It is processed to remove its euric acid content - if this was not done it would be toxic and bitter. When yo look at the actual breakdown, this looks pretty good - it is largely monounsaturated and contains the perfect balance of Omega fatty acids. The problem is the processing is very harsh and it is not worth using the end product as a result. 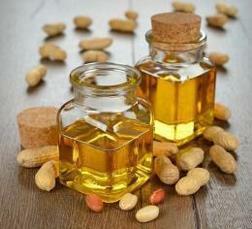 Lots of nut oils are available - some taste really good. The problem is that the polyunsaturated content makes them unsuitable for cooking with. As long as you do not heat them, you should be okay though. The same can be said about peanut oil. Whilst they are not really nuts, they have a similar breakdown. Macadamia oil is the exception here - it is similar to olive oil and tastes great. It is good to use when cooking over low to medium temperatures. These are very refined, undergo harsh processing, have too much of the Omega-6s in them and are best avoided completely. Before we understood the true difference between Omega-6s and Omega-3s, it was thought that these oils were good. This has now been proven wrong. High levels of trans fats have been found in some of the most commonly stocked brands. Avoid these oils and foods that contain them. You do need to take care with oils as they can go rancid. The best way to avoid this is to buy only small batches that you can be sure to use quickly. The unsaturated ones such as avocado, palm and olive oils should be kept out of the light, in a cool place. Also make sure that they are properly sealed when putting them away.